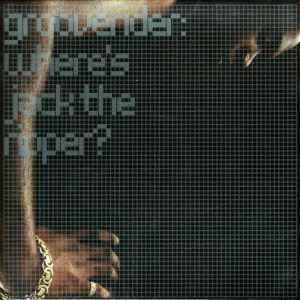 Grooverider ‎– Where's Jack The Ripper? Comes is double cardsleeve (sleeve in a sleeve). WHERE'S JACK THE RIPPER?, One of Grooverider's rougher tracks off of MYSTERIES OF FUNK, gets mixed up on this single. Origin Unknown, not surprisingly, goes even darker, with some metallic overtones for extra ear-slashing. Carl Cox, however, turns the track into pounding techno, replete with growling vocals.